One of the most frustrating things in life is an engine that refuses to start! 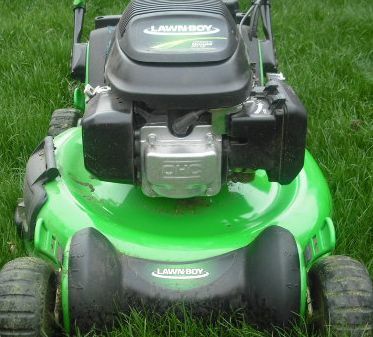 Lawn mower troubleshooting can help. If your machine is giving you troubles, the problem can probably be traced to one of three areas. Lawn mower troubleshooting begins with the basics. Every engine needs 3 things to start and run - Spark, fuel, and compression. The same troubleshooting steps are used for just about any type of outdoor equipment, to include lawn mowers, lawn tractors, riding lawn mowers, leaf blowers, string trimmers, lawn edgers, and chainsaws. Checking spark at the spark plug is the best place to start. Since the spark plug ignites the fuel, no spark means no ignition can take place. Sometimes carbon or other debris may become lodged between the spark plug electrodes. If the engine becomes ‘flooded’ with too much gasoline and the spark plug becomes wet, no spark can occur. It usually pays to remove the spark plug to have a look. Sometimes, just having a spark is not enough. As in comedy, timing is everything! This is an issue with lawn mower troubleshooting only. Timing can be affected by stopping the engine suddenly ( like when your mower blade hits an object you didn’t see hiding in the tall grass). If the timing is off, a spark will be seen at the spark plug, but the engine will not run. Maybe the most important area to consider with lawn mower troubleshooting is the fuel. Adequate fuel must be delivered to the combustion chamber. Is there gas in the tank? Has water somehow become mixed with the gas? Since water is heavier than gasoline, it will sink to the bottom of the tank, and be drawn into the engine first. One of the most common reasons any small engine will not start is stale gasoline. When gas goes bad it is never a pretty sight! Another factor in lawn mower troubleshooting is compression. Adequate compression can sometimes be hard to assess. As you pull on the starter rope ( or turn the ignition key), you may notice the engine does not turn smoothly. Every couple of turns meets with increased resistance, and the engine may even ‘kick back’ slightly. This is due to the compression stroke of the engine. If the compression is too low, the engine will not start. Low compression usually means serious engine problems, like a broken connecting rod or piston damage. If the engine was ‘running just fine’ the last time it was used, chances are compression is not the problem. Determining if your engine has enough compression can be tricky. Special tools are available for measuring compression, but are expensive. Pulling the starter rope slowly through several engine cycles, you should be able to feel an increased resistance during the compression stroke. Immediately after the compression stroke, the engine turns easily ( until the next compression stroke is reached). If the engine spins freely, low compression may be a problem. This usually means a trip the repair shop is needed. Often, serious engine damage has occurred.